This piece started out as a joke by Matt Johnston of ALRY Publications. When I asked if he had any ideas for another "5 Minute" medley, he came up with "The Minute Waltz in 5 Minutes." Har, har. 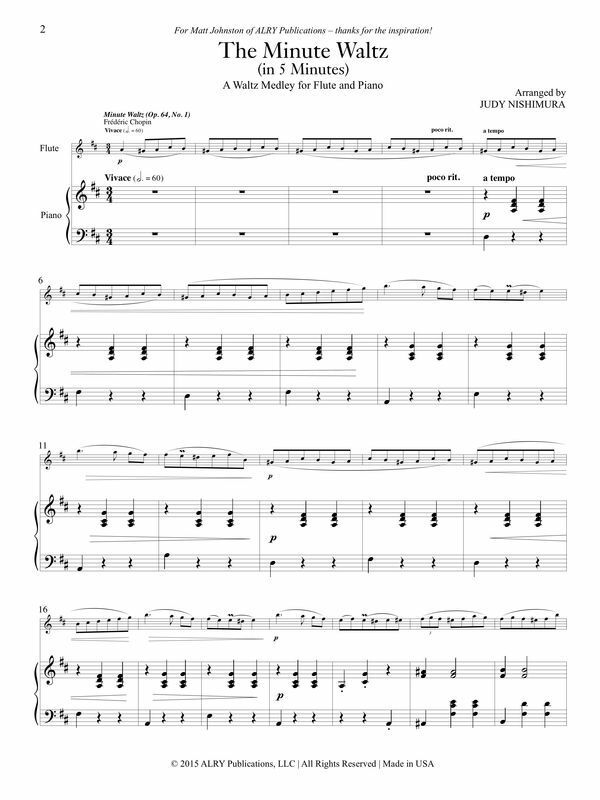 Unbeknownst to him, I thought about it and decided to write a waltz medley based on Chopin's "Minute Waltz." Then I presented it to him for Christmas. This work is chock-full of familiar Strauss, Tchaikovsky, and even Scott Joplin waltzes, plus sneaky references that will make audiences smile with recognition.